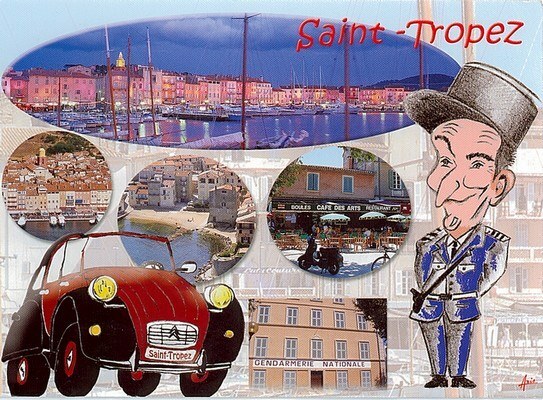 Le gendarme de Saint-Tropez (The Policeman from Saint-Tropez) is a 1964 French comedy film with Louis de Funès. The film mostly takes place in Saint-Tropez, a fashionable resort on the French Riviera. Louis de Funès plays Ludovic Cruchot, the sergeant of gendarmerie of Saint-Tropez. It is the first film in The gendarme series, and has spawned five sequels.